The industrial buildings of New York’s Gowanus neighbourhood informed Savvy Studio’s design of this hotel in the area, with high ceilings, brick floors and gridded windows all contributing to the warehouse aesthetic. 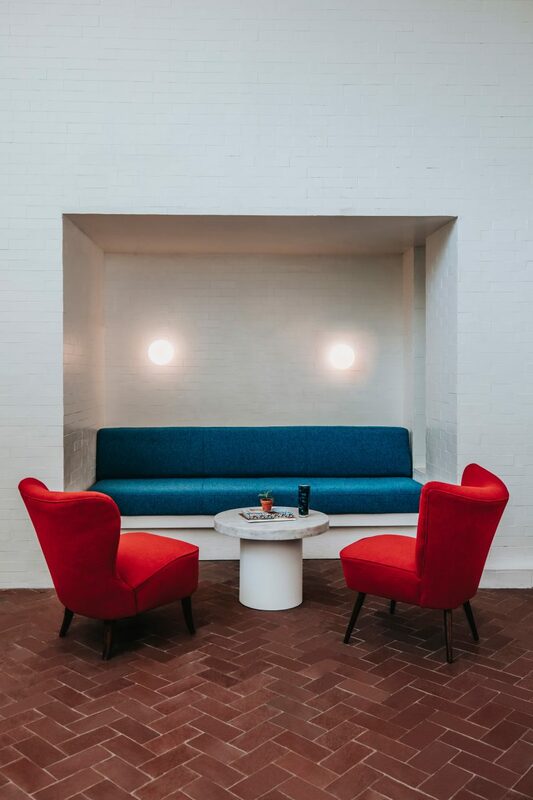 “What makes Gowanus Inn and Yard stand apart from its competition is the fact that it doesn’t stand out; within this area of Brooklyn, the hotel seamlessly fits in with the industrial neighbourhood it resides in,” said the design team in a statement. 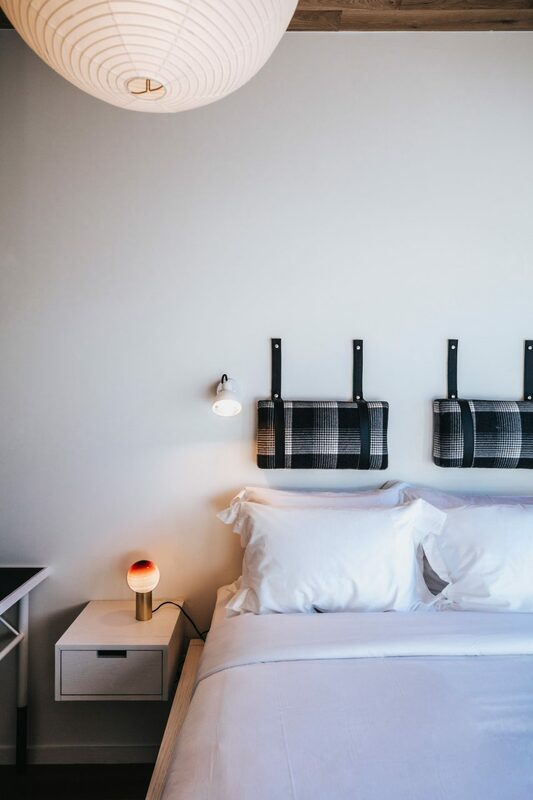 “The hotel comes fully equipped with 76 rooms, each one inspired by Japanese interior design, the industrial look of the neighbourhood, and the idea of space,” said Savvy Studio. Savvy Studio also designed the logo for the hotel, which is based on an abstracted image of the building’s front elevation. The multidisciplinary team has previously created a set of “brutalist” furniture that debuted at last year’s Design Week Mexico. Accommodation options in New York City are plentiful and vary dramatically. Recently opened options with a focus on design include Herzog & de Meuron’s Publicin Manhattan’s Lower East Side, The Beekman in a converted Downtown office building, and The Williamsburg Hotel by Michaelis Boyd.